Create an AWS CloudFront Distribution using the AWS Console. Specify the domain for the PrestaShop application. 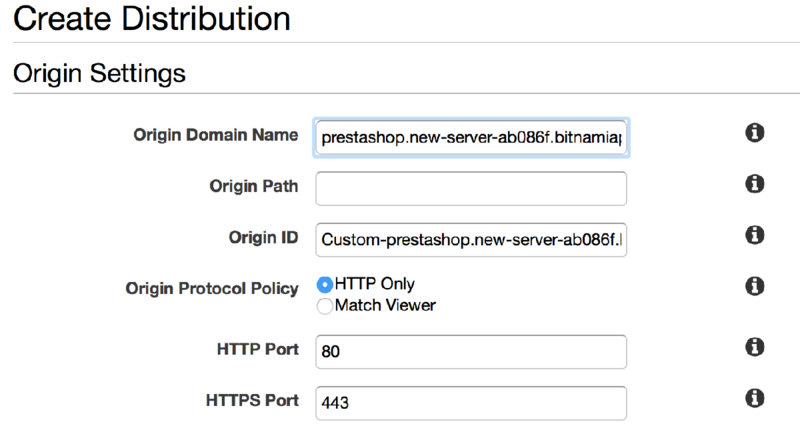 Edit the /opt/bitnami/apps/prestashop/conf/httpd-app.conf file and set the AllowOverride All configuration value. Log in to the PrestaShop administration panel. Navigate to the “Advanced Parameters -> Performance” page and browse to the “Media Servers” section. Add the domain name for the CloudFront Distribution created previously. Browse to the PrestaShop application and check if the images are being served from the CloudFront domain, by viewing any image URL.